Currently designed to fit on Lima diesel shunter chassis which runs good enough for me at the moment. I have ordered a similar sized Tenshodo Spud so will design a baseplate to fit. Simple wire hook couplings but I might design something more prototypical(but not necessarily that strong). Hello dear friend, it´s a very interesting work, i didn´t know this kind of locos, thank´s for sharing, my best regards, have a nice day. Lost in France and loving it! Although they are OK for me I am still a bit apprehensive about putting them for sale on Shapeways. Still don't know how that process works, as they talk about making money, do you get some type of commission on sales. I eventually found the page with info about shops, not easy to find. I know everyone has different ideas on commission, but surprised there isn't a default of say 10%. Will have to tidy up some things on model before setting up shop. I managed to keep sizes down to a minimum which keeps price down. Probably looking at around about £40 plus postage for body, chassis would be about another £10. That's for the basic material, some people prefer to pay for 'better' quality. the basic suits me. If you need any help or advice on Shapeways shops, feel free to ask. I'm trying to make a living out of it, so my commissions tend to be a bit bigger, mostly around the 20% mark, but a percentage is not always the best way to work. I try to keep everything affordable and comparable pricewise to similar things already on the market. You won't make a fortune, but you might get one or two free models. Tom, you have already helped a lot already, and I have bought one of your coaches. After I made the comment about shops I found the page on the Shapeways website, which was not as easy as it should be, almost like they are hiding it. I would not expect to make a fortune but it would be nice if someone got one of my models. I have stressed that its not dead scale(many military models seem to mix up scales as well), but captures the spirit of the loco. Just an idea from your collection, the coach seating in 1/35 would be popular. Would make nice garden and station benches. About 20% would be nearer the minimum I would probably add on, but you have to look at what is average price for models in chosen scale. From what I have seen railway modellers in 1/32 and 1/35 are prepared to pay more, but military modellers in same scale have relatively low prices, unless its resin or metal. Price of figures might reflect cost of production and design, but if you need a lot for a scene, the cost is prohibitive. Someone else made similar comment concerning Scalelink figures, nice but prohibitively expensive, but actually cheaper than some others. One reason I am searching out plastic kit figures which can easily be adapted. Initially just the two Simplex bodies plus a chassis plate to fit Lima motor bogie. I am part way through designing one for Tenshodo Spud, the first print needed small mods to fit. I plan to add some more of my designs if these are working OK. They work ok for me Simon, prices are in euros and a picture from underneath for both. The only thing I spotted was on the description of the armoured was a letter s missing from was. my keyboard is a bit dodgy. normally pick up on most of the missing letters. It was the prices listed that interested me. According to the help page you just add commission to Shapeways price, but as far as I can tell I see the original price. Should be about 38 euros for body. I adjusted price as had not taken account of VAT. Trouble with not being able to see what they look like to others, as Shapeways shows me page with price for me. Price sounds about right now. If I was to print a load off myself and sell at shows I might have to add more on, bearing in mind postage on one item is high, but OK when you buy several items. It has allowed me to produce model for myself, and a challenge , but fun in the end. log out of shapeways, then search for them, and you ought ot see what everyone else sees (unless your getting logged back in automatically). I often check my stuff just to make sure it looks right. could not find a log-out button, but have noticed I do have to log in occasionally. Many systems keep you logged in for that day, so ill try tomorrow . Just looked at Shapeways and noticed it did not recognise me on general page so had a look at my shop page and prices included markup. The markup isn't much, but I did not ant to make it too expensive, even though many modelling 1/35 and 1/32 narrow gauge expect to pay higher. Many of the military kits are around this price, and I think some might be interested in included a narrow gauge railway. The sign-out from Shapeways is now in a drop down from your profile picture at the top right - probably be a smiley face if you don't have profile picture. If you use Chrome just open the page in an incognito window. thanks, found it. I think current web design theory is that 'sign out' should not be seen, but on a drop down menu. same on hotmail. just been asked to up the simplex to 1/32 scale, which I have now done and someone has ordered a model. I know it should work, as increasing size has less problems that reducing size but a bit nervous till it is actually printed. As I am not interested in a 1/32 version at the moment I won't be getting one myself yet. One thing I have thought is whether it would make a good model in Gn15, as its already pretty big, and could squeeze a bigger figure into it. Might be a contender for a fully open(no doors) version. Would like to try redesigning it for 1/24 or 1/19, but would have to start from scratch as simply re-scaling would not only result in a hefty price tag, but some details might not enlarge so well. I'd certainly purchase one in Gn15 Maybe 2 ! what I was thinking was that the 1/32, possibly the 1/35 was big enough for Gn15. Just look at some of the scale drawings for these locos. First thing for me would be to remove the doors to make it the open version. just designed the open version. Found 2 variants, with and without roof attached front deflector. Will get them printed to test out. Will be a couple of weeks till I get them back, hopefully. No interior yet, need to see how the spud sits first. Have really got into this 3D printing and am working my way through WW1 wagons . Now have designed and printed both types of Simplex open version, and SPUD fits better than expected. Also have versions of the protected with either one side's doors open or both sides. Interiors have also been produced which fit in OK. Detail is basic, but good enough for me. I also have first test of a 20hp WW1 Simplex. Need to do some more work. I upped one of the original protected versions to 1/32 on request, my first commission. One of the wagons, a basic A class WDLR is ready and running. Other versions of A class need test printing, as does a B, a C a couple of D's, an E and an F. Have developed them as either a complete model(a bit pricier, and as basic, so just need to add flat parts(a lot cheaper ). Next wagon will be a van version on D chassis. Would like to do some of the French wagons to fit Pechot bogies I have already designed. One thing I am now looking at is coupling mounts, possible NEM so can use variouys couplings. Note I am developing these initially for myself, but they are (or will be) up on my Shapeways shop for others to buy. I only put them on public display when I am happy with them in reality. I have a small fleet of Simplexs now. Still, there are much worse things to be addicted too and at least this one procedures some useful results to the rest of the world. possibly addictive, but I am only working on items I want to have as models myself, and the WW1 centenary next year and the next 4 years is a mega big project that has got some of the leading model kit manufacturers working on overtime. 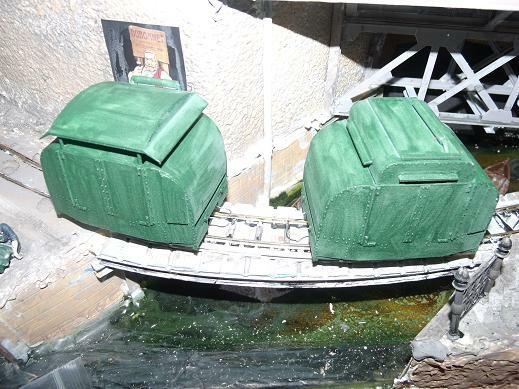 I am exhibiting my small WW1 module from January next year and want suitable wagons to run behind my Simplex locos. Suspect I will only be able to use the smaller ones for that, but am also planning a bigger layout using APA boxes which worked well with my 1940s layout. I have enough exhibitions booked for 2014 and starting to get some for 2015, and I think there should be enough interest to last the 4 years. Not that I am forgetting other railway stuff and want to check out Steve's smaller wagons to see if they are suitable for another project. What connects these projects is the scale, namely 1/35 and 1/32 depending on the model. 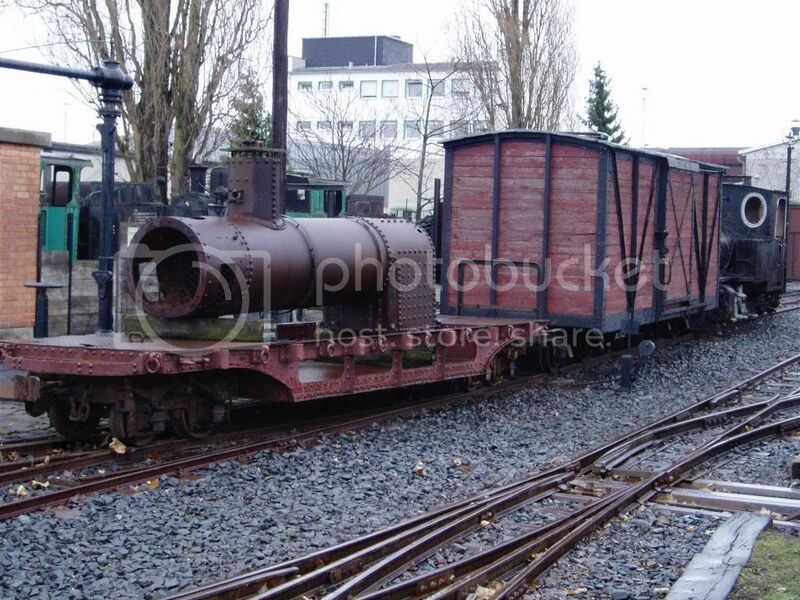 When you are interested in the german rolling Stock i could send you some more fotos too. 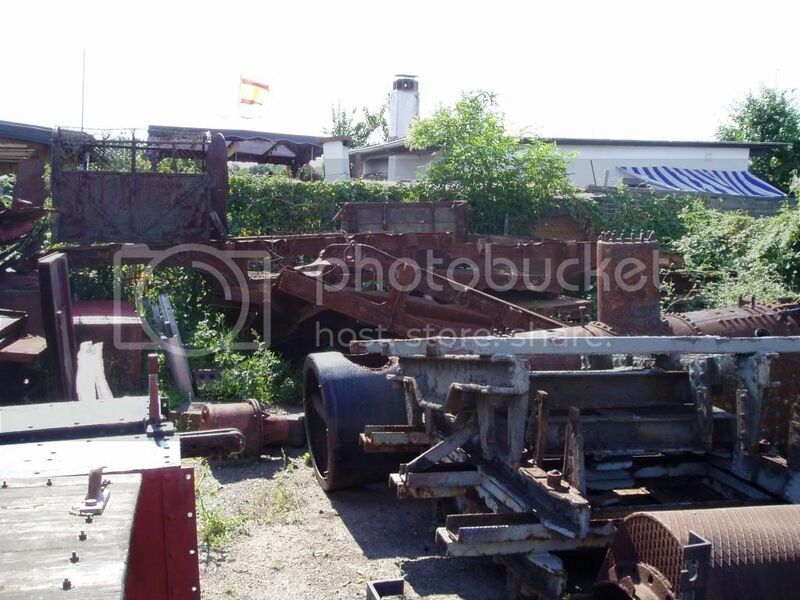 Oh, and by the way: I have access to a piece of track in 60cm gauge, most likely french ww 1 - Stuff. If you want fotos it won't be a big deal for me to shot them. Modelling in H0, H0e, 2i (26,7mm Gauge in 1:22,5). "Gleisbauer" is meanig Tracklayer- because thats what i´ve learned as job.